A composer, double bass player, arranger and producer, he creates music based on improvisation and composes music for theatre and film. For many years, he was associated with the yass style, primarily the Trójmiasto scene and its major musicians: Tymon Tymański and Mikołaj Trzaska. He began his musical career with the band Niebieski Lotnik, playing with Jerzy Mazzoli and Jacek Olter. He was also part of the free-jazz band Łoskot. He worked with Zbigniew Namysłowski as part of his quartet. He participated in Muniek Staszczyk’s Szwagierkolaska project, dedicated to interpreting Stanisław Grzesiuk’s oeuvre. For many years, he played in Leszek Możdżer’s bands, recorded and played concerts with Gaba Kulka, Maciek Szupica, Maciej Moretti and Wacław Zimpel. In recent years, he worked, among others, with Andrzej Seweryn, Ingmar Villqist, Warszawska Orkiestra Rozrywkowa and Teatre Dada von Bzdülöw. 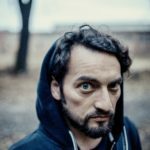 He is the founder of the projects OW Kaszebe, the Saintbox and Zespół Cieśni i Tańca. He releases his own projects under his own label. A theatre and film actor. For several decades, he has been recognized as the major character actor. 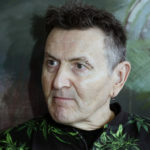 A rebellious and uncompromising artist, Majchrzak has won a number of awards, including Złoty Glan Award, granted to independent artists who oppose fads and trends prevalent in the popular culture. He debuted in 1970 with a TV film “Draka” directed by Janusz Kubik. After graduating in acting in 1974, he worked with the National Theatre in Warsaw and then the Powszechny Theatre and the Studio Theatre. He created many significant stage roles and appeared in plays directed by Kazimierz Kutz (“Kopciuch” by Janusz Głowacki), Zygmunt Hübner (“Upadek” by Nordhal Greig) and Jerzy Grzegorzewski (“Opera za trzy grosze” by Bertolt Brecht). His achievements include many film parts, including of a wrestler Władek Góralewicz in “Aria dla atlety” directed by Filip Bajon in 1979. In the years that followed, he worked with Witold Leszczyński, Radosław Piwowarski and, most importantly, Jan Jakub Kolski (including on the award-winning ”Pornografia”). Theatre director, a graduate of the National Academy of Theatre Arts in Kraków. The beginning of his career is associated with the Wilam Horzyca Theatre, where he produced single-act plays written by Aleksander Fredro. He then worked with the Wrocław Contemporary Theatre and Teatr Dramatyczny in Warsaw. He was also the Art Director at the Warsaw’s Teatr Rozmaitości. He developed his individual dramatic language while working on “Historyją o Chwalebnym Zmartwychwstaniu Pańskim” by Mikołaj z Wilkowiecka. As part of that production, he sought for the ways to evoke religious experience once found in mystery plays. He then repeatedly dealt with religious themes. He also staged pieces by William Shakespeare and Romantic dramas and is interested in the classics of the 20th-century theatre and contemporary drama. He is a bold artist who develops his own scripts for his plays based on texts by various authors. He also produces shows for the youngest audiences. 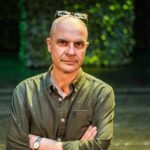 Since 2014, he has been a director in residence at the National Theatre in Warsaw. An art critic and historian, an exhibition curator and a columnist. A long-time director of Zachęta in Warsaw, an originator of the Museum of Modern Art in Warsaw. A professor of the Academy of Fine Arts in Warsaw (the Faculty of Media Art and Stage Design). She is the head of the cultural section of “Vogue Polska” and is often referred to as “the first lady of the Polish museum industry.” At the beginning of her career, she was committed to journalism and covered latest art developments. In late 1960s, she started preparing exhibitions. In 1980s, she established Fundacja Egit, one of the first independent art foundations in Poland. She is the author of many exhibitions, including: “Rzeźba w ogrodzie” (1988), “Gdzie jest brat twój, Abel?” (1995), “Warszawa-Moskwa 1900-2000” (2004), “Obok. Tysiąc lat historii w sztuce” (2011), and “Postęp i higiena” (2014). 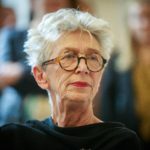 She used to work at the Polish Academy of Sciences and the Art Department of the Ministry of Culture and Art, and also headed the Polish section of the International Association of Art Critics (AICA). 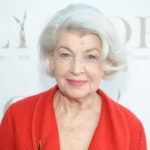 A stage designer, interior decorator and costume designer, she began to work on film and TV productions while still studying at the Warsaw University. She was responsible for the visual setting and costumes for the major Polish directors, including Wojciech Jerzy Has (“Nieciekawa historia” and “Pismak”), Janusz Majewski (“Zazdrość i medycyna”, “Zaklęte rewiry”, “C.K. Dezerterzy”, “Sprawa Gorgonowej” and “Królowa Bona”), Tadeusz Konwicki (“Lawa”), Krzysztof Zanussi (“Iluminacja” and “Barwy ochronne”), Agnieszka Holland (“Europa, Europa”) and Andrzej Wajda (“Wielki tydzień”). She has also worked with Hollywood artists; in 1994, along with Allan Starski, Ewa Braun won the Oscar for set design for Spielberg’s “Shindler’s List.” She is a member of the Academy of Motion Picture Arts and Sciences (AMPAS) and the Polish Film Academy. She shares her knowledge and experience with students of the National Film School in Łódź by giving her own workshops on stage and costume design and make-up. She has provided artistic support for over 100 student etudes.